We all start the New Year with great intentions–I’m going to eat right, exercise, journal, meditate, read more, etc.–but usually within a couple of weeks we fall back into old habits. How do we change that in 2019? Don’t be afraid to fail. This is a big one, and pretty much everybody struggles with it. All of the things on this list require varying degrees of vulnerability on your part. It’s very possible that one or some of them won’t work out the way you hoped. Do not let that deter you. There are countless moguls, musicians, actors, and entrepreneurs that will tell you of the mountain of failures they encountered before finding their way to great success; this is the same thing on a smaller scale. If you reach out to someone and they don’t respond, connect with someone else. If a volunteering experience didn’t fit for you, try somewhere else. The key is to persistently pursue your goal of finding happiness. 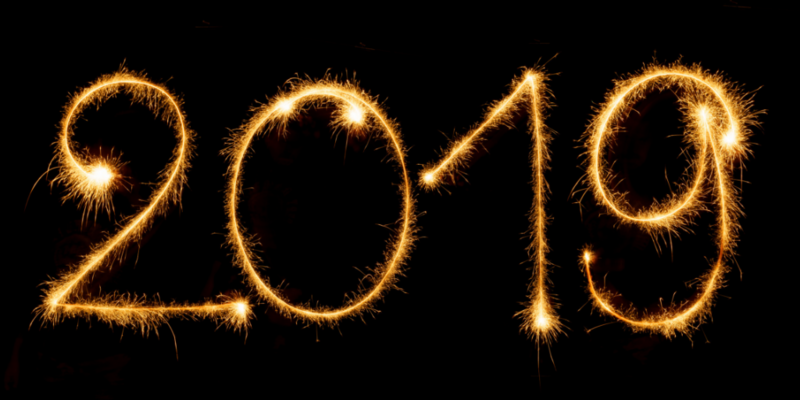 Though you may not have the energy, will, or ability to work toward hope and healing all the time (which is definitely okay), consider using this list to take small steps toward rebuilding your practice of happiness in 2019.